Passing on through the gates of life…. Evening everyone, it has been a bit, hasn't it? I am not sure how to write this info as it kind of hurts to put it out in public, but I know a few of you care about the going-on in my life. My mother passed away last weekend, so I am a bit cheerless right now. I am sure I will bounce back once the shock of it passes and my routine falls into place once more. I want to thank you all for the personal message and support you have given me through this time. In order to try cheer myself up I pulled out my little fawn out. Gauze updated their Faun and Demon Hooves with omega and slink appliers along with giving the legs a face lift and adding new colors. They look great! There is a natural and fantasy color set available. Each set comes with six leg shades. Also from Gauze are the Sollux Troll Horns. 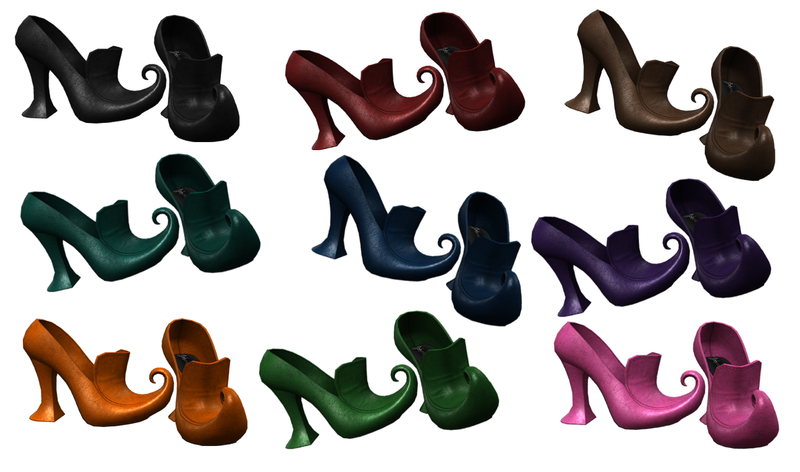 The Troll horns come with twelve different styles of horns. They are modifiable and can be tinted to match your outfit. A Sponsor Gift for you! Shop Free*Style is situated on the Solaria Isle, with our plot being donated to us since 2013. Our sponsors have always meant a lot to us, and we try to help promote them whenever we can. Digital Aura, who is one of the stores who Sponsor us on Solaria Isle, recently created a new gift for you all to enjoy. It's been ages since Digital Aura put out a new gift so to go along with the gift I'll impart a bit of news. Digital Aura now has a new store location on Solaria Isle! Yes, that's the Free*Style sim we co-sponsor with CIRCA. The landmark is included with the gift so be sure to stop by and check it out while trying on your new ring. The October Gift Ring - Aside from acting as a reminder that I still have a store the ring is a single dark silver band interwoven into two layers. 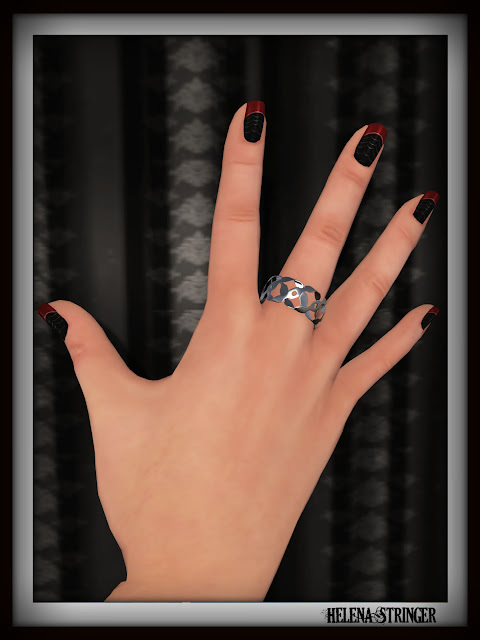 The ring is original mesh and is fit with a resizer script (click it to resize). It's copy only permissions and it is free. Hai there you beautiful people, ♥ I am honored to be a part of this weeks Fifty Linden Friday. These tops are so comfy and soft and perfect for the coming fall weather. They come in 5 sizes, plus Slink Physique and standard fitmesh. They are only 50L per set! For Friday only! Only at Somnia Main Store ♥ Mix! is open for October and I did an exclusive neons set of the Spring Journey tanks. These exclusive for Mix and will not be sold afterwards. They come in 5 sizes plus Slink Physique. They are only 200L for the set! The Body Modification Expo will close its doors tomorrow (October 3rd) so don't wait too long if you want to pay this event a visit! Today I share with you a new release by The Annex. Enjoy! Will You Survive Totally Top Shelf? Fi*Fridays Rolls Out the Red Carpet!